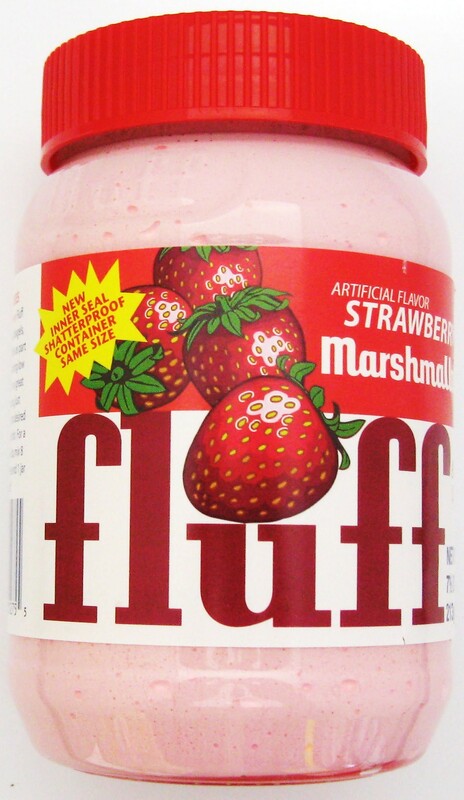 Fluff, Strawberry Marshmallow creme. Also comes with great recipe ideas. 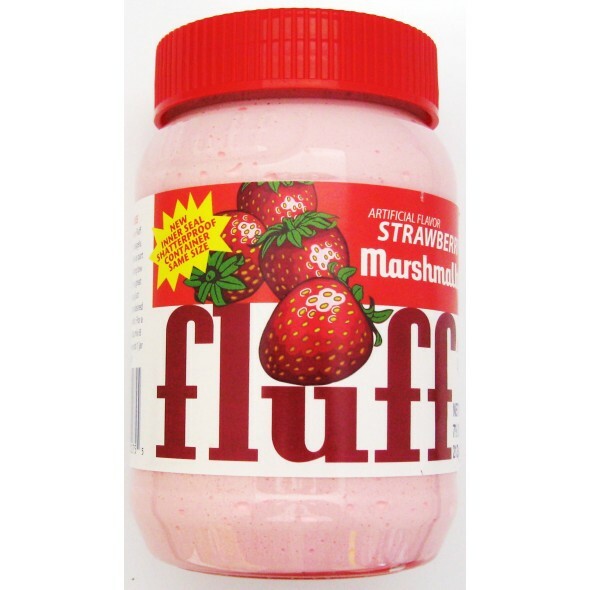 Strawberry Marshmallow creme, Artifically Flavored Spread. Spread directly on toast, bagels, or English Muffins as part of a delicious tasting low fat breakfast. New inner seal shatterproof container, same size.